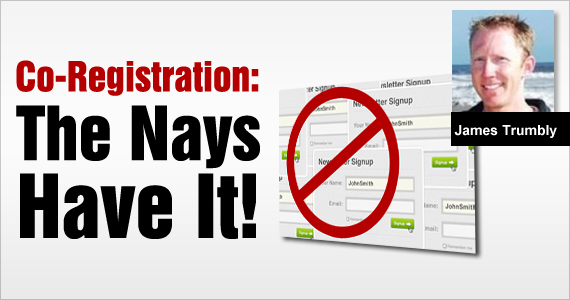 Email Marketing Co-Registration: The Nays Have It! Strong opinions abound on both sides of the co-registration debate. Co-registration, or the practice of subscribing to multiple newsletters simultaneously, walks a fine line when it comes to ethical list-building practices. Let’s take a look at both sides of the debate. Co-Registration is the Answer to All Your List Building Woes! While some of these benefits are iffy at best, the ease and speed with which you can build a list do seem tempting. However, before you jump in with both feet, here’s the other side of the story. Co-Registration Will Sabotage Your Credibility! Pre-checking a box which may get overlooked is a sneaky way to build an email list. It will also result in high unsubscribe and spam rates. The subscriber may not read the fine print and may not realize he is ‘opting in’ for additional emails. While it’s not technically spam, it’s still going to destroy your credibility with that subscriber as he begins receiving emails he doesn’t remember signing up for. Your credibility as a company is worth far more than the few extra subscribers on your list who may open emails they receive as a result of co-registration. 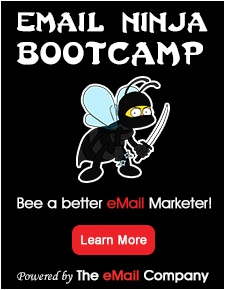 It’s never a good idea to trick people into signing up for your newsletter. eConnect Email helps keep your lists clean and deliverable by tracking key email metrics, keeping your lists updated, and ensuring that your deliverability rates remain as high as possible. Takeaway: Practicing ethically unquestionable list-building techniques will ensure that your list remains clean and targeted to the people who have shown genuine interest.